Industrial process operators and stakeholders benefit from the collection and analysis of data by enhancing performance of valuable facets of the process or activity. Data acquisition, commonly known as DAQ, is widely employed throughout industry where there is a true need to know current conditions and analyze trends, patterns, or events. A desire for increased profit drives the need for increased process output and efficiency. A desire to reduce risk of loss drives the need for reduced downtime and improved safety. Today, there are likely many useful applications for data acquisition that are not being tapped to their fullest potential. The modest cost and simplicity of putting a data acquisition system in place, compared to the benefits that can be derived from a useful analysis of the data for your operation or process, makes the installation of a data acquisition system a positive move for even small and unsophisticated operators in today’s market. What we call DAQ today started in the 1960’s when computers became available to businesses of large scale and deep pockets. By the 1980’s, personal computers employed in the business environment could be outfitted with input cards that enabled the PC to read sensor data. Today, there is an immense array of measurement and data collection devices available, spanning the extremes of price points and technical capability. For a reasonable cost, you can measure and collect performance data on just about anything. 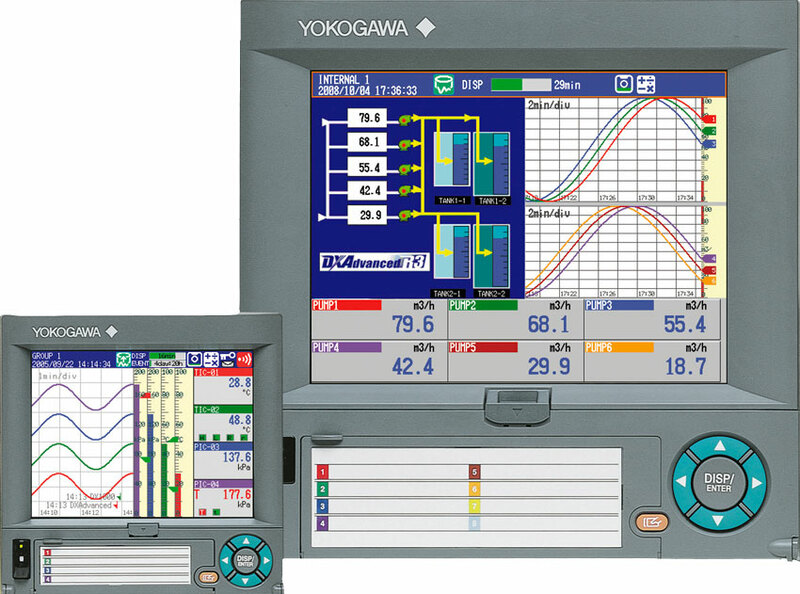 You can get an impression of the simplicity, modularity, and compactness of a modern system with a quick review of this product from Yokogawa, a globally recognized leader in the industrial data acquisition equipment field. Data acquisition has an application anywhere an operator or stakeholder can benefit from knowing what is occurring within the bounds of their process or operation. Here is a partial list of the many physical conditions that can be measured in industrial settings. Yokogawa Data Acquisition Station DX1000 & DX2000 from Classic Controls, Inc.